The aftermath of an accident or injury can be overwhelming. If your loved one has suffered an injury owing to the negligence or carelessness of another party, it may make it hard to take clear-headed decisions. 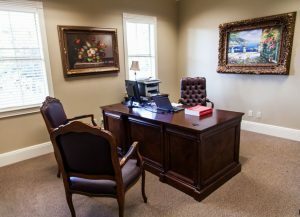 The knowledgeable and experienced injury lawyers in Lafayette, LA at the Law Offices of L. Clayton Burgess are available to pursue personal injury claims on your behalf. We are also adept at handling all types of accident claims throughout Louisiana. Any car accident can be dangerous, but loaded trucks increase the risk of serious injury and death. When a truck is involved, the cost of injuries also escalates. Our trucking accident lawyers in Lafayette, LA have a thorough knowledge of state and federal laws and this improves your chances of getting fair compensation. While some car accidents are simple fender-benders, others are more serious. Car accident attorneys in Lafayette can help you resolve complicated cases smoothly. We have more than two decades of experience handling all types of car collision cases. Contact us to speak to professional and experienced legal representatives and benefit from a FREE initial analysis of your personal injury case. We understand that there’s nothing worse than being forced to compromise on your quality of life due to the rash or careless act of another party. Our attorneys work with a team of qualified paralegals, clerks, and assistants to ensure 100% satisfaction for our clients. Head toward north on US-90 W/Hwy 90 E/Evangeline Thruway toward Louisiana 92-1. Turn left onto E 2nd Street. Take slight right turn toward W Congress Street and you’ll find our office building on the left. Head east on US-90 E/Cameron Street toward Hanks Road. Turn right onto W University Ave/US 90 Business. Turn left onto W Congress Street. Our office building is on the right. Move toward east at I-10 E and exit at 101 for LA-182/N University Avenue. Next, take right turn onto LA-182 S/N University Avenue and then continue straight onto N University Avenue. Turn left to W Congress Street. Our office building is on the right. Head toward west on I-10 W and continue moving to left to continue on NW Evangeline through way. Then take a right turn onto E 2nd Street, turn right again onto W Congress Street. You’ll find our office building on the left. Those injured in negligent auto accidents may be entitled to recover compensation for damages. This includes lost work wages, hospital bills, and physical/emotional trauma, as a result of the accident. It takes an experienced accident lawyer to get the job done. 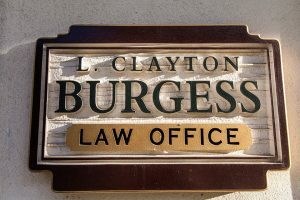 The attorneys at the Law Offices of L. Clayton Burgess have requisite skills and litigation experience. The circumstances surrounding any accident claim are often complex, which leads to great difficulty in determining the party liable for damages. So, it takes an experienced attorney to oversee your claim and fight for compensation in a court of law. If you’re are looking for a qualified personal injury attorney, come to us in Lafayette. Don’t Delay! 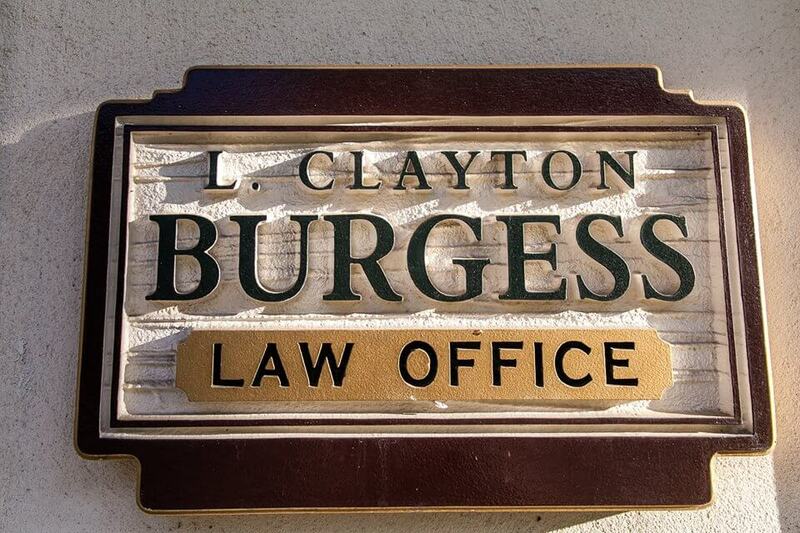 Call the Law Offices of L. Clayton Burgess. We can provide you an initial personal injury consultation absolutely FREE with no strings attached. 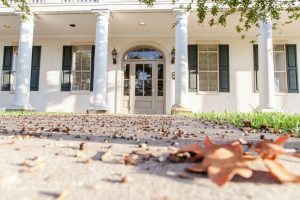 Have you suffered a personal injury in Lafayette? Our staff will work to assist you with your case. 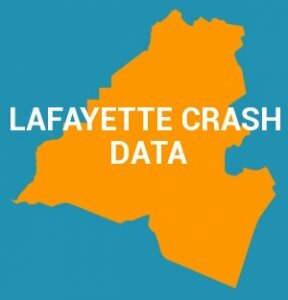 Have you ever wondered what accident statistics are out there for Lafayette? How about the number of drunk drivers that are on our roads each year? If that sounds like you, click on the picture above to have a look at our Lafayette, Louisiana Crash Data page.